Viking Cruises Travel Insurance is well constructed, but can be incredibly expensive. There is little doubt that a Viking Cruises customer should be able to find cheaper travel insurance by shopping around, and enjoy even stronger levels of protection. 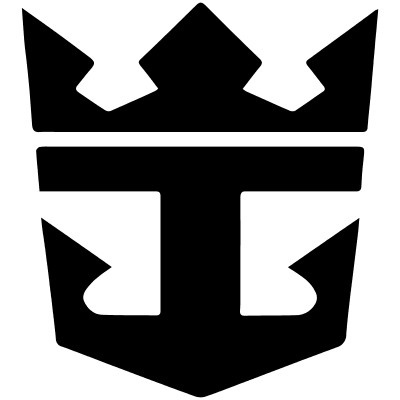 Note that Viking Cruise Travel Insurance is presented to travelers as a per person price. Whenever you compare travel insurance options do bear in mind that you will typically be shown travel insurance as a total price for all travelers. Certainly, that is how we show the cost of travel insurance at AardvarkCompare. Make sure you compare prices accurately when shopping around. That said, the Viking Cruises Travel Insurance product is a good one. Viking Cruises have provided a strong set of benefits, and are supported by one of the leading Travel Insurance Carriers in the USA. But, stronger policies are available in the wider market, often at half the price. It only takes a minute to compare different options, something that we do for Viking customers every day as they search for better options. 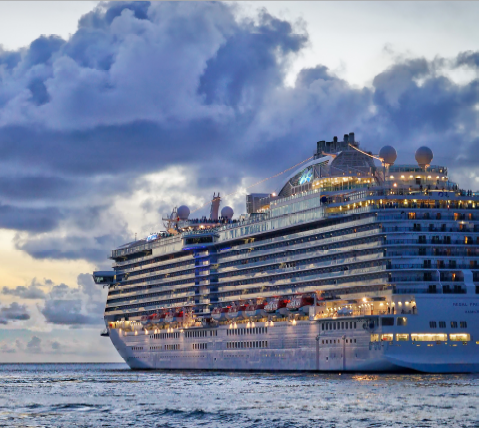 The other element to consider, for those taking a cruise, is whether you will look to take additional days of vacation before or after the cruise. If you do so, please ensure that you have adequate trip insurance coverage in place. It may not be possible to extend out a Viking Cruise Insurance, but a regular travel insurance plan should always offer flexibility to add days of coverage to a trip. Indeed, most travel insurance plans do not impose cost penalties on a traveler provided the trip is 30 days or less. In our Viking Cruises Travel Insurance Review we will highlight the different cover that is provided, versus our opinion of an ideal set of Trip Insurance Protection benefits. We will provide an overview of how expensive Viking Cruises Travel Insurance is, versus the wider market. Finally, we will provide some indication of alternative plans that should be considered by a traveler seeking both strong trip insurance protection, and good value for money. 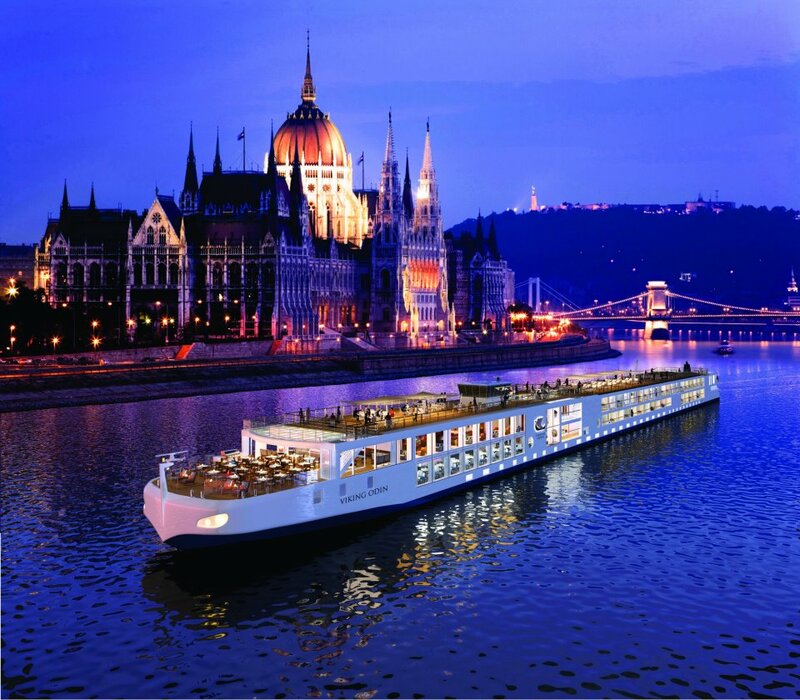 Viking Cruises routinely wins prizes as the leading river cruise line, worldwide. Travelers get to explore through Europe, Asia and North Africa. 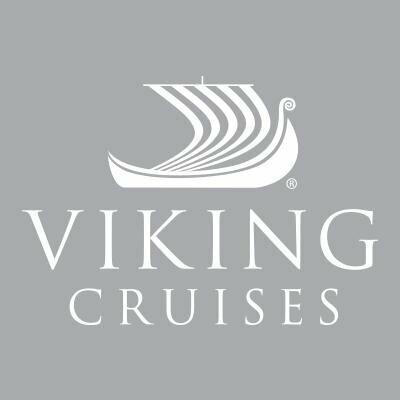 Viking Cruises Travel Insurance is not available to buy through the Viking website. Indeed, cruises themselves cannot be bought directly. It is necessary to liaise with a Viking Cruises sales agent for cruise pricing and to buy Viking Cruises Travel Insurance. Most cruise companies do not work this way, and whilst we would prefer to see a final price on-screen, we do appreciate the human touch. Viking Cruises have handed their Travel Insurance business to TripMate, a Travel Insurance Protection administrator, owned by Arthur J Gallagher & Co. TripMate, in turn, relies upon Arch Insurance Company. Sorry that this is a little convoluted. As it happens, Arch Insurance has its own set of Travel Insurance Policies, available for sale to the wider public, under the RoamRight brand. We work with RoamRight, and so are very comfortable with the underlying strength of the Travel Insurance provided. That said, it does seem that there are a large number of companies between the customer and the ultimate insurer, which we are less happy with. Many of us book our cruises a long way ahead, sometimes over a year in advance. It makes perfect sense to ensure that there is strong cancellation cover in place. Viking Cruises Travel Insurance does a great job in the provision of Basic Cancellation cover, as well as Cancel for Work Reasons Travel Protection. This is not the case with every policy we review, so good job, Viking Cruises. In the event that you or a family member falls ill prior to your trip, you may cancel for a full refund. A covered Sickness, Injury or death of You, Your Family Member, or Your Traveling Companion which occurs before departure on Your trip. The Sickness or Injury must occur before departure on Your trip and must require examination and treatment by a Physician at the time of cancellation. The treating Physician must certify that You are not able to participate on the trip due to medical restrictions. You also have full cover for things like a traffic accident en route to start your trip, causing you to miss the vacation. Or loss of a passport or visa. For those of us who work for a company, we are reliant upon the company giving us approval for vacation prior to booking a trip. Sadly, from time to time, we are either permanently transferred, laid off, or our vacation is cancelled by the company. Strong Cancel for Work Reasons Travel Insurance would compensate us, with a 100% refund in this eventuality. Viking Cruises Travel Insurance provides exactly this level of work-related trip cancellation protection. Moreover, it is necessary to have worked for only one year in order to benefit from the work-termination protection. This is a very strong protection. We see this with plans from companies like iTI and Travel Insured International, and are delighted that Viking Cruises offers similar protection. Viking Cruises Travel Insurance, in keeping with all the other Cruise Travel Insurance plans that we have reviewed, offers an unusual Cancel for Any Reason Travel Insurance benefit. Viking Cruises calls this their Enhanced Cancel for Any Reason Penalty Waiver. 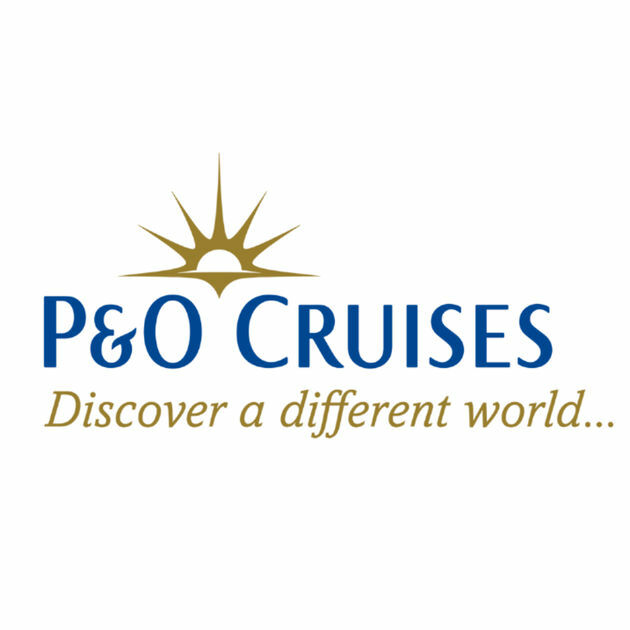 However, if you have bought Viking Cruises Travel Insurance, you have an Enhanced Cancel for Any Reason Penalty Waiver, that is paid in the form of a Travel Voucher. When You purchase this Travel Protection Plan within 14 days of Your initial deposit/payment for Your trip, You also receive the Viking Cruises Enhanced Cancel For Any Reason Penalty Waiver that allows You to cancel Your Viking Cruises Travel Arrangements before Your scheduled departure for any reason. Under this Enhanced Cancel For Any Reason Penalty Waiver, Your cancellation fees will be refunded in Viking Cruises Travel Vouchers (valid for travel within 12 months of the date of issue, but no later than 15 months from the date Your trip was canceled), with the balance of the refund made, if applicable, either in cash or credit card credit. 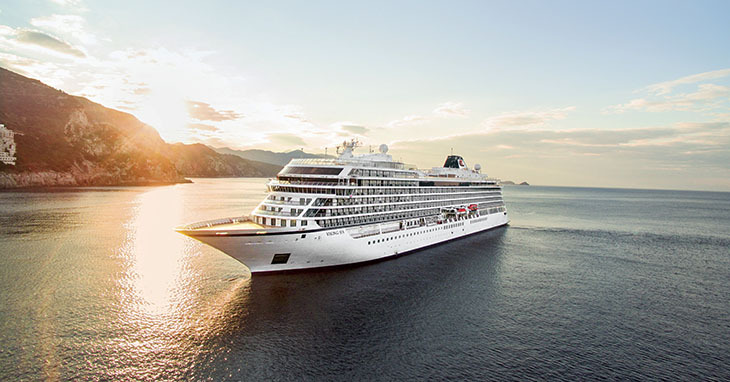 Please Note: The Viking Cruises Enhanced Cancel For Any Reason Penalty Waiver does not cover fees associated with air or other travel arrangements not provided by Viking Cruises. Any amount payable under this Enhanced Cancel For Any Reason Penalty Waiver will be reduced by the amount of any Trip Cancellation amounts paid or payable under the Cancellation Penalty Waiver of this Plan or under any other travel insurance or travel protection plan providing Trip Cancellation benefits. Note that this is just a travel credit rather than a return of cash. Also, note that the travel credit is only valid for a maximum of 15 months. Finally, note that the travel insurance quote is not covering any other travel arrangements that you have organized yourself. 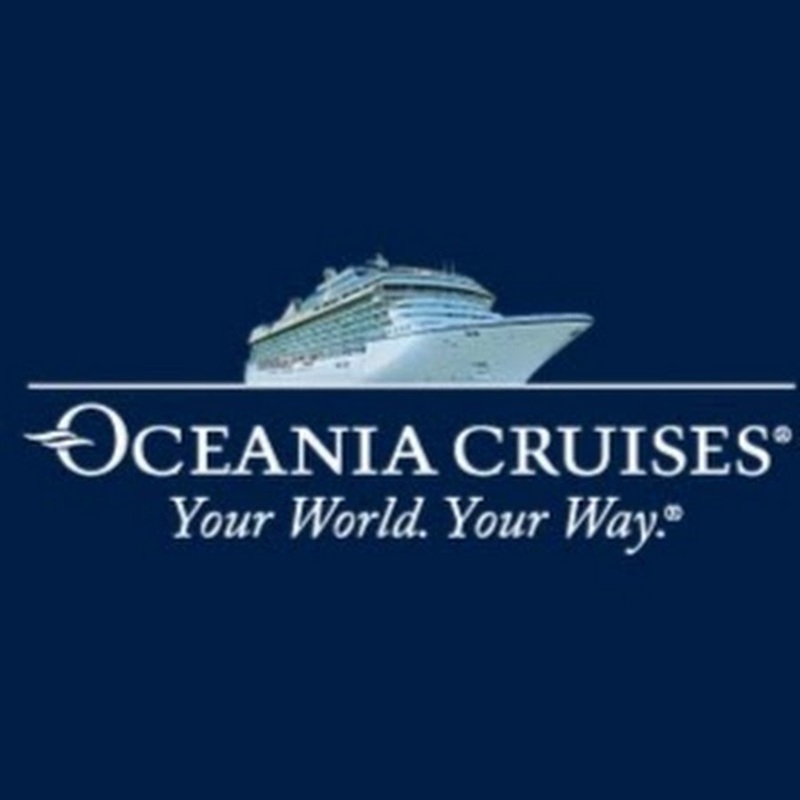 We have been scathing at times about the level of Travel Medical Insurance that is offered by cruise lines in the USA. We find it incredible that such low levels of cover are provided when the potential costs are so high. People get sick and injured when traveling overseas, and a cruise is no different. The ship will continue without a seriously ill passenger, so it is essential that robust medical cover is in place. Our consistent advice has been to ensure that there is at least $100k of Travel Medical Insurance in any Cruise Travel Insurance. No cruise company offers this in their insurance. Ever. Except Viking Cruises Trip Insurance, which does. It is the only Cruise Line that we have reviewed that offers the type of robust medical cover that we think critical for a traveler. Sometimes an injury or sickness is so severe that a Medical Evacuation is necessary. Events such as this are rare, thank goodness. But when they do occur, they can be incredibly expensive. Think helicopters from a ship, or private jet with an on-board medical team, and it is clear that Medical Evacuations are not something that anyone would wish to pay for themselves. Again, we have offered consistent advice over the years – $100k is the minimum Travel Medical Evacuation Cover that we want to see. That is sufficient if traveling within a few hours of a major, advanced, city. Those who travel to more remote areas of the world are advised to take $250k of MedEvac cover. In our reviews of other cruise lines operating out of the USA we have seen consistently poor medical evacuation coverage. Yet again, Viking Cruises Travel Insurance exceeds that of all of its peers. It, alone amongst the cruise lines we have reviewed, offers $100k of Travel Medical Evacuation cover. So, strong medical cover, and strong medical evacuation cover from Viking Cruises. Excellent! Viking Cruises Travel Insurance offers strong cover for those with a Pre-Existing Medical Condition. It is similar in depth and support to the iTI Travel SE and TII Worldwide Trip Protector plans that we offer. These are industry-leading levels of protection, so, yet again, kudos to Viking Cruises Trip Insurance. Let’s run through the basics of a Pre-Existing Medical Condition, and how Viking Cruises offers protection to its guests. Note that the concern is only in the 60 days prior to booking your trip insurance policy. Anything that happened before this is irrelevant. As far as the Travel Insurance Carrier is concerned, anything that happened before the 60 days, and is stable, is fine, and will be covered. Pre-Existing Condition Exclusion does not apply to a condition which is treated or controlled solely through the taking of prescription drugs or medicine and remains treated or controlled without any adjustment or change in the required prescription throughout the 60 day period before Your coverage is effective under this plan. So, most of us don’t have what a Travel Insurance Carrier would refer to as a Pre-Existing Condition. We may have medical problems, but if they are long-standing with no change in treatment, we are fine, we are covered. What matters is the period of time that a Travel Insurance Carrier wishes to ‘Look Back’ in order to determine if your condition is new or changed, or you changed medication. The longer in time that the Carrier ‘Looks Back’ the greater the chance that you will have a ‘new’ medical condition that will be excluded from cover. So, the shorter the Look-Back period, the better for the Trip Insurance customer. The best we ever see is 60 days. And that is exactly what Viking Cruises Travel Insurance provides to its customers – a 60-day Look-Back. Yet, again, this is excellent protection from Viking Cruises Trip Insurance. Despite the fact that most of us will not have a medical condition, as far as the travel insurance carrier is concerned, some of us will have. Ordinarily, this pre-existing medical condition would be excluded from cover. Clearly, it would be much better for us as travelers if we could somehow get our medical condition included back into cover. What we need is a waiver. You are not disabled from travel at the time You make Your payment for this plan. “Time Sensitive Period” means within 14 days of the date Your initial deposit/payment for Your Trip is received. This is a reasonable set of criteria from Viking Cruises. Note the time window – you have only 14 days from when you first make your initial trip payment to get your travel insurance in place and be awarded a Medical Waiver. The Time-Sensitive Period we typically see at AardvarkCompare is 20 days, so for once, Viking Cruises Travel Insurance is a little less than ideal. We looked into a wonderful cruise called Waterways of the Tsars. Our trip price, for two travelers aged 46 and 41, was $5,799 each, so a total of $11,598. Viking Cruises Travel Insurance was quoted at $619 per person, so a total of $1,238. And, we would like to see a price less than $1,238. AardvarkCompare is the world’s leading Travel Insurance Marketplace. We work with the leading Travel Insurance Carriers in the USA. Our prices for cover are not marked up – they are identical to those offered by the carriers if you went to each and every one of them. All we do is bring them to you so that you can compare. Let’s take a look at two plans that compete against Viking Cruises Travel Insurance. 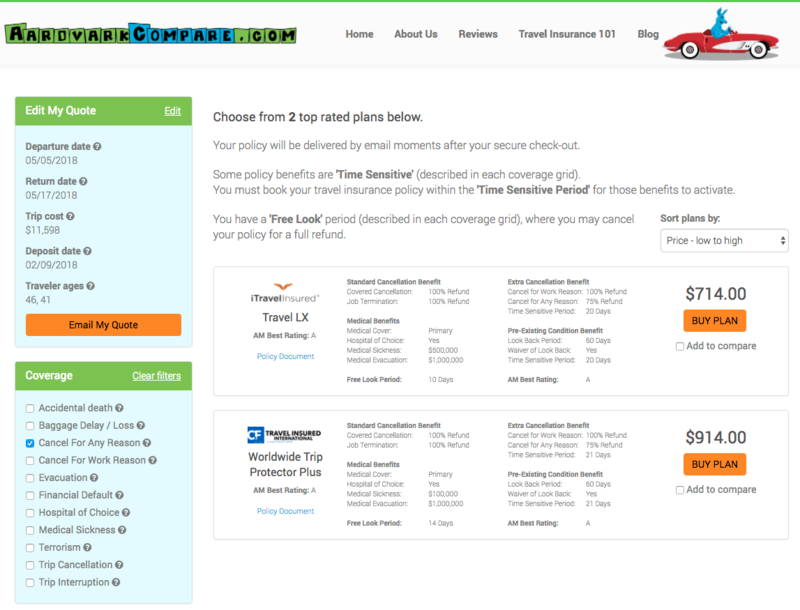 The Travel Insured International Worldwide Trip Protector Plus, and the iTravelInsured Travel LX are industry-leading. They both offer superlative levels of cover. Note that despite having levels of protection that far exceed the plan offered by Viking Cruises, they are approximately half the price. A clear winner in this case is the iTI Travel LX. Priced at $714 versus $1,238 from Viking Cruises Trip Insurance, the cover levels on the iTI Travel LX Plan are clearly superior. Medical cover is five times that of Viking Cruises. Evacuation cover is 10 times as much. Time-Sensitive period is 20 days, giving an extra six days to get the policy in place. Cancel for Any Reason benefit is for 75% of Trip Cost, and is paid in cash. We think that Viking Cruises Travel Insurance is one of the best sold by a cruise line. But, it is wildly expensive compared to policies available in the wider Travel Insurance market, which will have better cover than Viking. Stronger cover is available, at around half the price, simply by running a quick comparison. Take the time to shop around for your Travel Insurance next time you plan a Viking Cruise. We would be delighted to help.